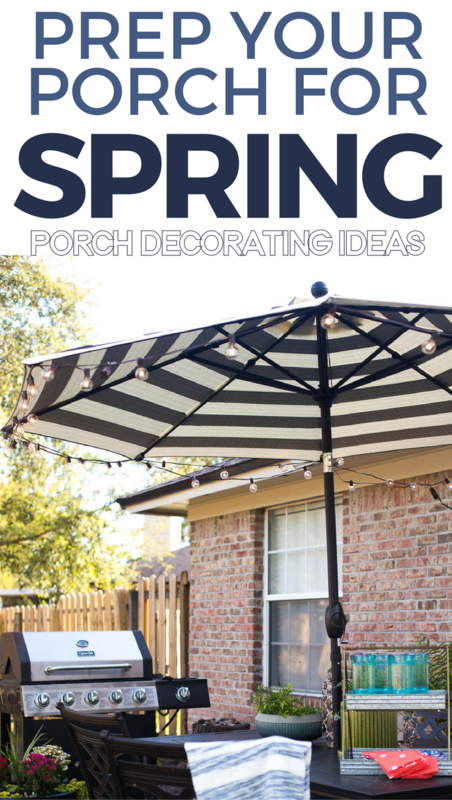 If you’ve been thinking about what to do with your porch this spring – today’s post is for you. 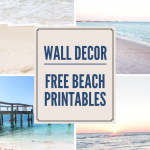 Decorating your porch for spring can be as simple or as detailed as you’d like but I believe there are a few essentials that as long as they are included you are sure to have a comfortable space that you’ll enjoy all season long. Recently, I dusted the pollen off of my patio furniture and started some spring porch decorating. 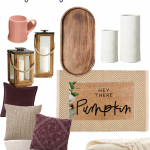 I’m excited to be sharing my spring porch decorating ideas with you. I’m obsessed with plants and greenery on my porch. I love pretty flowering plants in pots along with anything with big green leaves. I usually keep adding plants until it begins to feel a bit jungle like in my yard, then it’s perfect. Nothing feels more like spring than thriving plants. 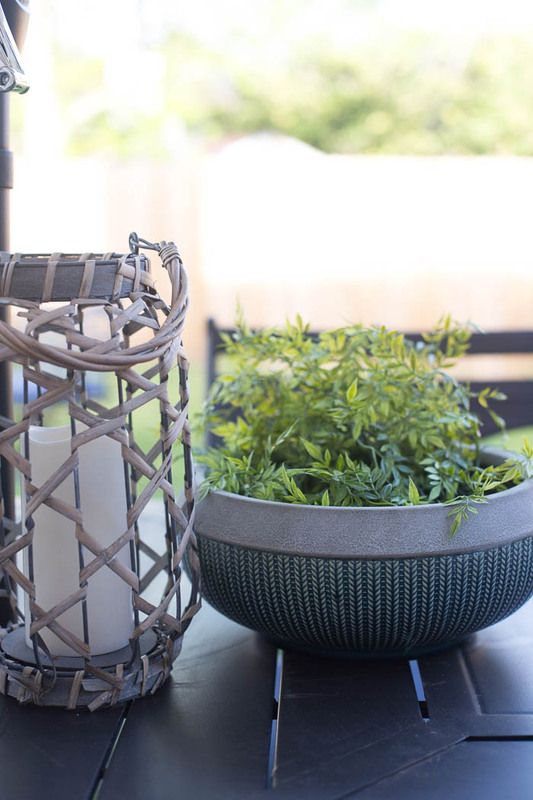 Adding flowers, herbs, and potted plants all help to prep your porch for spring. I love this planter for less than $15. The best part about having a pretty porch is being able to share it with friends. Having ample seating for entertaining as well as just relaxing is a must for spring porch prep. 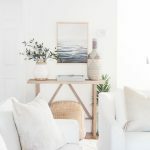 Whether it’s a dining set like mine or a conversation set [like this one], having a place to sit allows you to relax and fully enjoy your beautiful space. In Florida – cool drinks are an absolute must at all times. 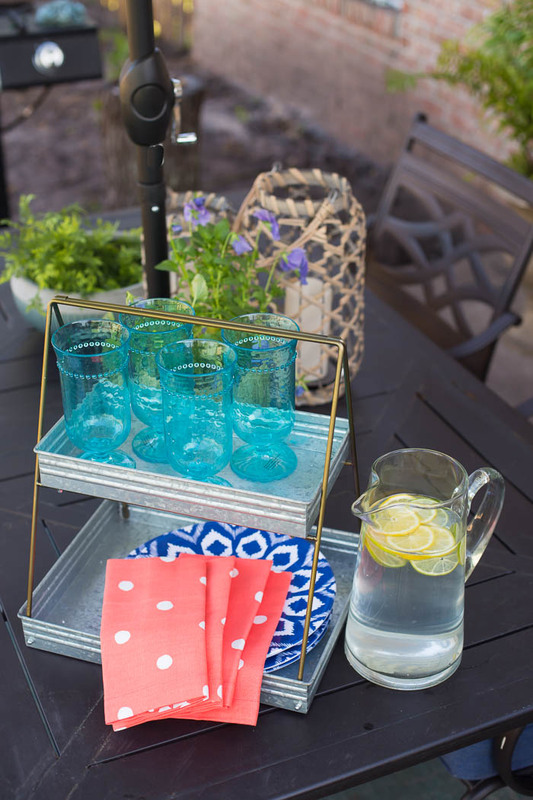 Creating a little beverage station like this is great for pretty much anything from cocktails to lemonade or even refreshing water with fruit. 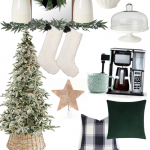 I love this two tiered stand. I can see myself adding glasses to top tier with sodas and bottled water at the bottom tier. When it comes to spring porch prep, consider comfort above all. 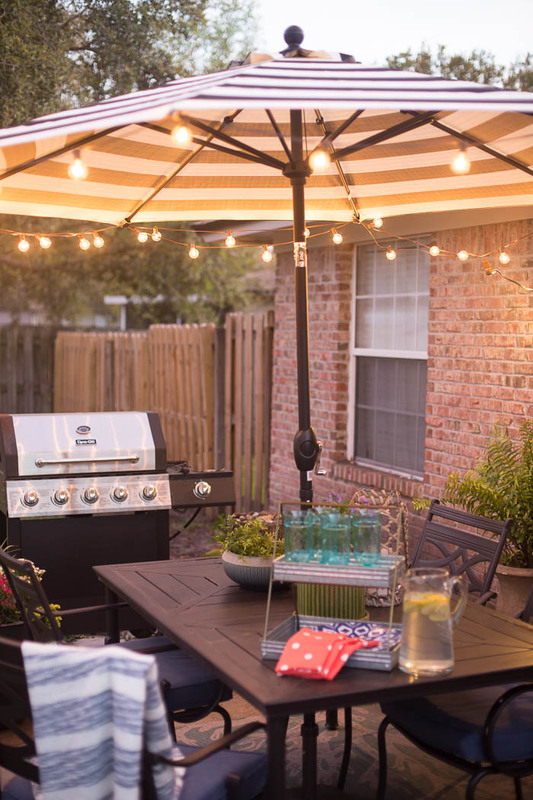 You’ll likely be spending a lot of time in your outdoor space during these spring months, you want to make it as comfortable as possible. These chair cushions are cute, comfy, and so affordable. Additionally, I love having blankets ready at all times. This one is from Walmart and is only $11.94 (!!!). When it gets cooler in the evenings it’s great to be able to grab a blanket and bundle up. My favorite porch accessory is an outdoor umbrella. 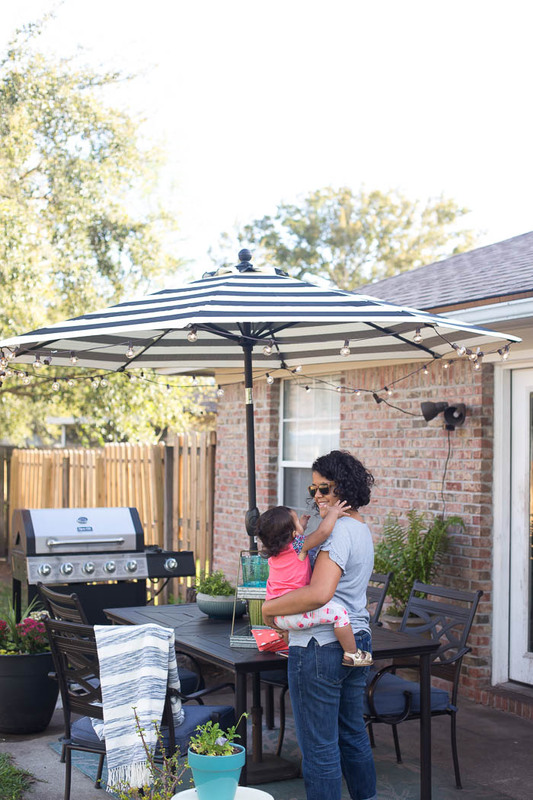 Not only are they pretty – if you want to actually enjoy your porch space, an umbrella is an absolute must here in Florida. 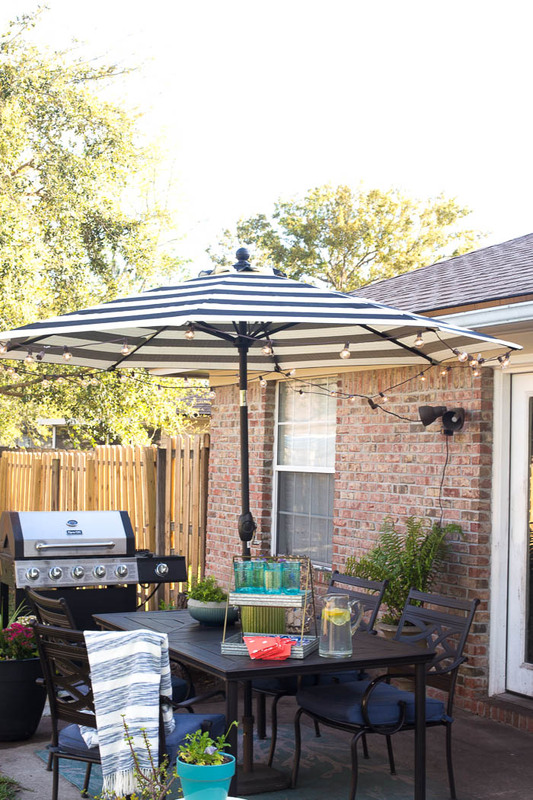 This striped umbrella had me at hello. Once I got it home I realized just how much I loved it. Not only is it beautiful, it’s super functional and great quality. 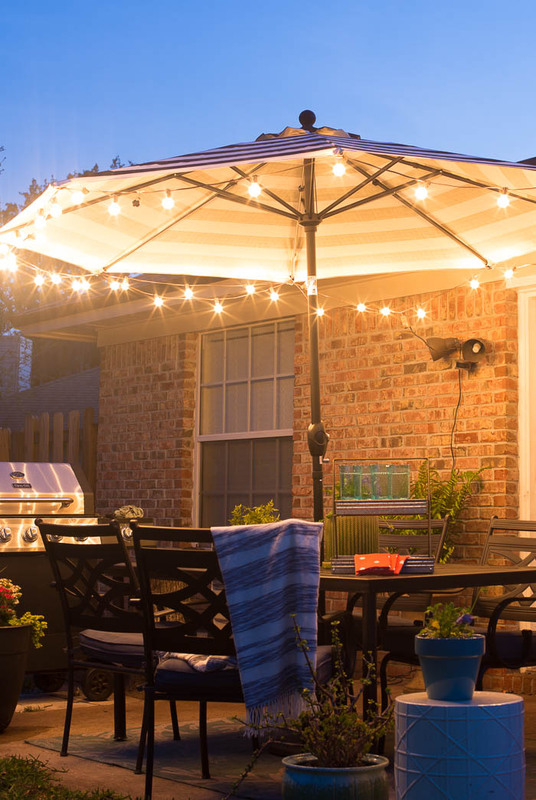 With velcro tabs to hang string lights, and a crank to put the umbrella up or down, it’s seriously perfect. I especially love how a couple strands of lights can create such a beautiful glow. What are your top tips for spring porch prep? 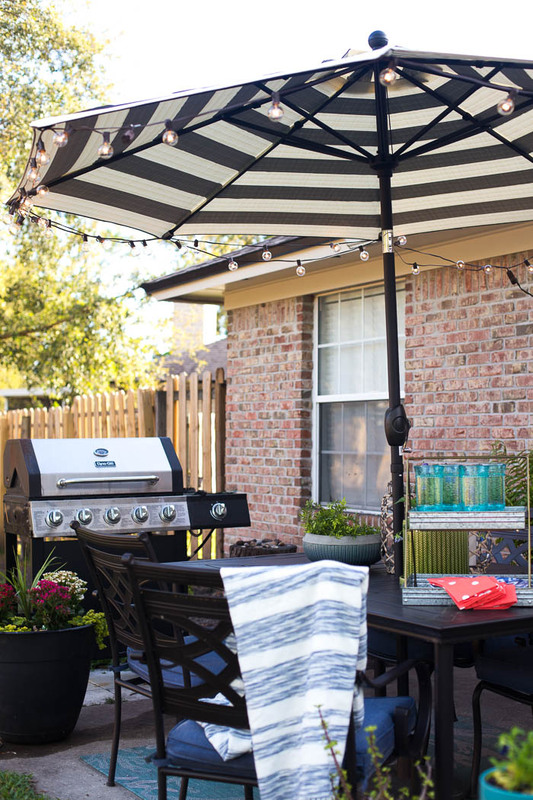 Do you have any must haves for enjoying your outdoor space?